Finally! 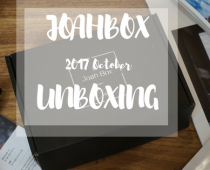 November JoahBox is here. 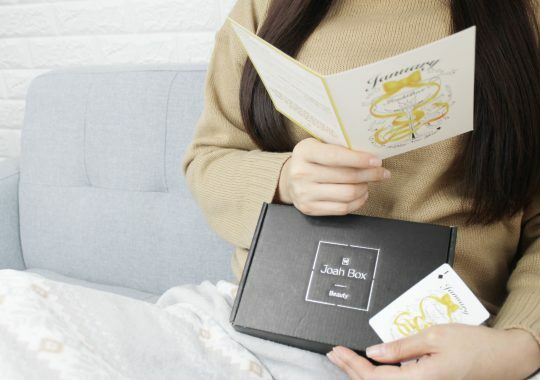 Are you ready for it for this new Korean Subscription Box? For November Box, Hello Winter x JoahBox, we mostly focused on your skin, how to protect it against the particularly chilled temperature. For every type of skin, winter is though: tiredness, redness, sensitivity, the worst skin nightmare. 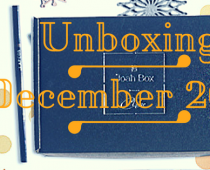 So let’s discover the amazing products you received in your JoahBox to go through the wintertime. Stress, pollution, cold temperatures, daily makeup, your skin deserves the best. O2 Cleaning Oil and Blackhead contain seven essential and natural active vegetal oils such as Macadamia Nut Oil, Olive Oil, Papaya Oil, Orange Oil, Grapefruit Oil. Gently, it dissolves all kind of makeup and clears away the impurities. At the same time, it also protects the skin without irritating the skin, removes the excess of sebum and keratin and leaves a refreshing orange flavor. So how to use it then? Simply apply the product on your skin as the first phase of your Korean skincare routine. After an intensive massage to remove pores and impurities, remove the remaining with cleaning foam or water. This Eyeliner is your best friend. 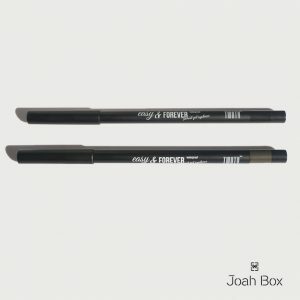 Waterproof and everlasting, this eyeliner is available in two different colors Black or Kaki. 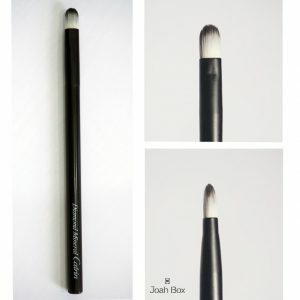 Perfect for both use (on lid and waterline), it can be used for a natural look or night out makeup. Vitamins are essential for human development. In winter, it is actually quite common to take some extra vitamin pills. So why for your body and not your skin? Then come in Vitamin Capsule Cream. Basically a daily explosion of vitamin! The brand Esthetic House is using a patented method using steam technology, to provide full vitamin power to your skin. After using cleaner and toner, unlock the power of vitamin by applying a small amount on cheeks and forehead. This particular product is recommended for red skin and sensitive skin. Vitamin B has also soothing, refining and whitening effects on the skin. 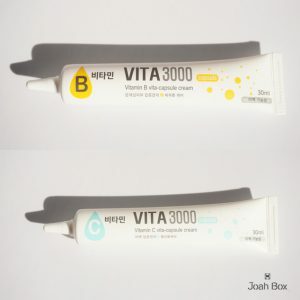 Vitamin C concentrates effect on moisturizing and brightening effect. Moreover, it also provides an antioxidant care and clearer skin after use. Vitamin E mainly focuses on dampens skin. After creaming, skin look sooth, smooth and moisturize. Mostly recommended for dry skin. 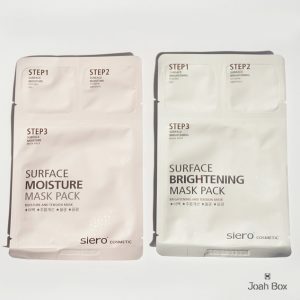 These 3 steps mask pack is the perfect solution for a skin relaxing moment. 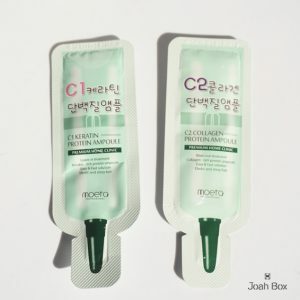 It helps you remove dead skin from the skin but still protecting it with vitamin ampoule contained in. Let’s dive in into the 3 different steps. First the Peeling Gel. It is mostly to remove the old dead skin for the better absorption of the next stage. The gel contains snail slime filtrate protects skin from irritation while peeling and Alps willow herb to extract cares pores for silky skin. How to use it? Just apply an appropriate amount to face evenly and roll from the center to outward. At the end, just wash off remaining skin with water or cleaning foam. Next in the line is the Vitamin Ampoule. The goal of Ampoule is to provide moisture and nutrition intensively using Vitamin. The nutrient will be then absorbed into the skin. The ampoule contained also some honey extracts to moist the skin. After the first step, apply ampoule onto entire face. Let it absorb during few minutes to allow the penetration. The final step is the mask pack.This face mask sheet is a high adhesion cellulose and hypoallergenic breathable sheet. It provides extra nutrition to rebuild and fortify skin barrier. Let it apply to the skin during 10 to 20 minutes. Massage the remaining essence for the perfect absorption. Two types of masks are available in Hello Winter X Joah Box: Moisturizing and Brightening. The only difference is the Vitamin comprise in the mask composition. Moisturizing use Vitamin E and Brightening use Vitamin C.
These premium home clinics are perfect treatments your hair deserves. Targeted for severely damaged hair, these ampoules will provide the ideal nourishment and prevent further damages. At the same time, it will leave your hair elastic and shiny. The best way to using it is after shampooing on dry hair. C1 should be applied first and stayed on the hair for 15 to 20 minutes. Wash the product and dry it with a towel. Then apply C2 and directly dry hair without washing them. Fan brushes are mostly used for fallout product and highlight your cheeks points. 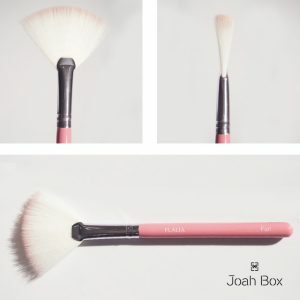 This Fan Brush by Flavia is so soft, you might fall for it. Also, its bright pink color is the best match for your brush set. A point brush is a multi-use tool. Perfect for concealer, eye-shadow, contour, highlighters,… Definitely a must-have in your purse.